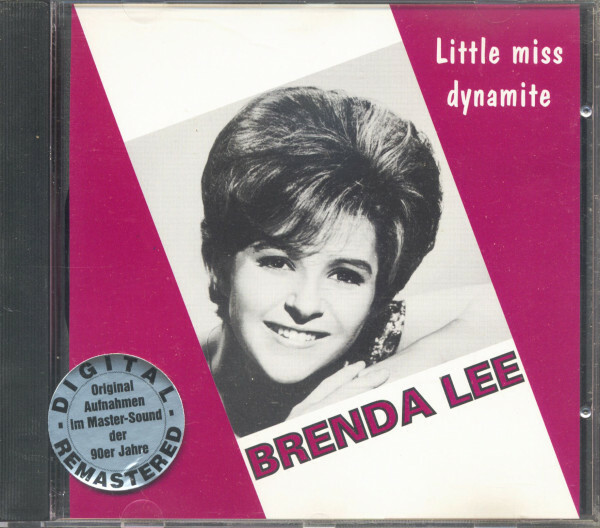 They didn’t call pint-sized Brenda Lee ‘Little Miss Dynamite’ for nothing. 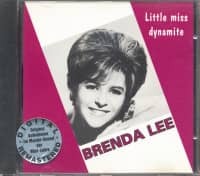 Her powerhouse pipes were like a lit keg of TNT even before Paul Cohen signed her to Decca at the tender age of 11 (Decca misleadingly billed her as “Little Brenda Lee [9 Years Old]” on her first two singles in 1956). Only four-foot-nine even as an adult, Brenda’s huge, mature-sounding voice belied her diminutive physical stature. Born Brenda Mae Tarpley in Atlanta on December 11, 1944, she sang around the house at three, won a school talent contest at four, and performed on local TV before she was seven. After a brief stint in Cincinnati, Brenda’s family settled in Augusta, Georgia, where deejay Peanut Faircloth took an interest. He insisted country star Red Foley listen to his little friend when Foley performed in Augusta. Foley was so knocked out that he put 11-year-old Brenda on ‘Junior Jubilee,’ the pubescent counterpart to his ABC-TV show ‘Ozark Jubilee,’ in March of ’56. Befpubescent counterpart to his ABC-TV show ‘Ozark Jubilee,’ in March of ’56. Before long, Brenda was on the adult version. Manager Dub Allbritten decided her stage handle of Little Brenda Tarpley was mundane, so she would be known as Brenda Lee. Cohen pacted Brenda in May of ’56. Her first Nashville session that July included the rocking Bigelow 6-200 and a rousing reprise of Hank Williams’ Jambalaya (On The Bayou) that Cohen paired as her debut single. 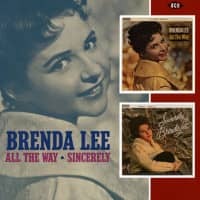 Although she usually recorded in Nashville under the direction of Cohen and Owen Bradley, Brenda’s first hit in 1957, the jumping One Step At A Time, was done at New York’s cavernous Pythian Temple under Milt Gabler’s supervision. Lee cut a raft of great rockers early on in Nashville—Dynamite (the basis for her nickname), Rock The Bop, Ring-A-My-Phone and its incredibly swinging flip Little Jonah (Rock On Your Steel Guitar) (cut May 15, 1958 at Bradley’s studio with Nashville’s A-Team in attendance, it featured Buddy Emmons’ blistering steel work), Let’s Jump The Broomstick, and just in time for 1958 holiday sales, her immortal Rockin’ Around The Christmas Tree. 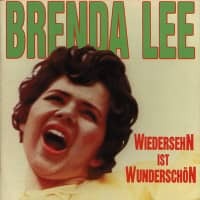 Although she had a big seller in 1961 with the cute upbeat item Dum Dum, most of Brenda’s smashes for Decca after I’m Sorry were brokenhearted laments that Bradley gave the full countrypolitan treatment: I Want To Be Wanted (her second #1 pop entry in 1960), Emotions, You Can Depend On Me, Fool #1, Break It To Me Gently, All Alone Am I. Brenda built a huge following around the world and toured the globe regularly, once with the then-unknown Beatles opening for her. When the pop arena finally lost interest in Lee’s Decca output at the close of the ‘60s (her Too Many Rivers and Coming On Strong just missed the pop Top Ten in 1965 and ’66 respectively), country music fans were quick to embrace the lovable little chanteuse. 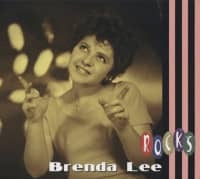 Brenda scored a slew of C&W hits during the ‘70s and ‘80s. Customer evaluation for "Little Miss Dynamite (CD)"